Was Luke an artist? 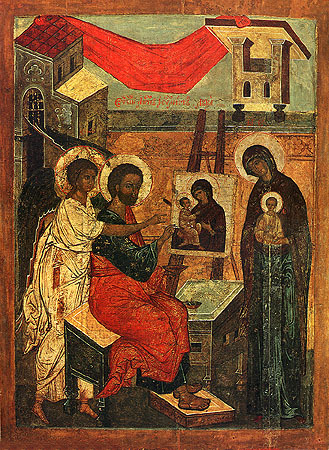 There are icons of the Virgin Mary and the Christ child whose origins are attributed to Luke. You can even find a catalogue of them here. Personally, I am highly sceptical that many or any can be traced back to Luke. The historical evidence is slim to say the least. So, I do not know if Luke created any paintings. He might have done, but I think that is conjecture. 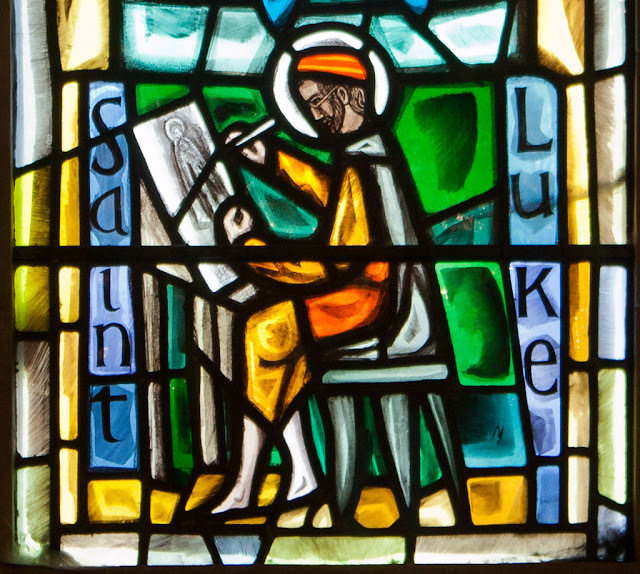 Was St Luke an artist? Was Luke an artist? If his writings help me to see who Jesus is (as they do) then he was an artist of words as well as an evangelist. His written words show an eye for detail and concern for carefully gathering evidence that you would expect for someone in his probable profession, that of physician. Would he have developed some skill in drawing as part of his study of anatomy or pathology or making medical records? St Paul calls Luke 'the beloved physician', so we might conclude Luke was a skilled and compassionate doctor of medicine. Some people venerate Luke as the patron saint of physicians and surgeons. Was Luke the Evangelist and physician also an artist? Perhaps, perhaps not. It is St Luke's feast day today. What's the best way to remember him or celebrate his day? For a previous post about Luke see St Luke's Day.